Carved stone balls have been found at archaeological sites spread across the North of Britain. These mysterious objects date from around 5200 BC. Little is known about their function or cultural significance. Archaeologists theorise variously that the balls were using in war, fishing, measurement, astrology or for controlling the ‘right to speak’. It is the intricacy and complex symmetrical properties of the objects that is truly remarkable, pre-dating the formalisation of Platonic solids by millennia. 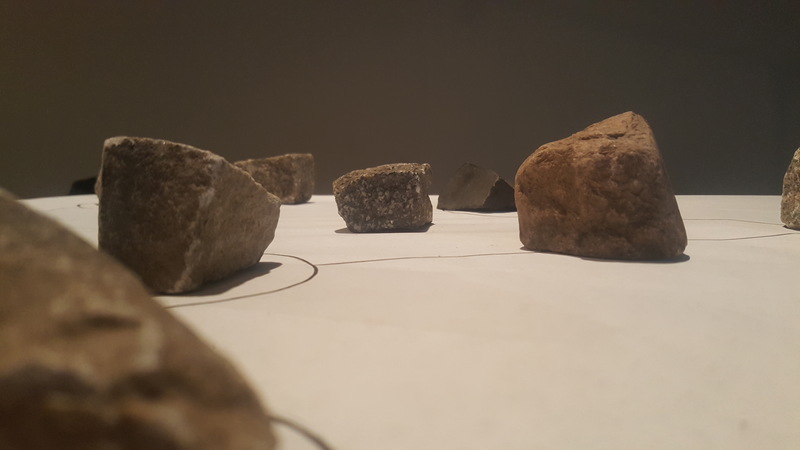 Participants are invited to consider what motivated early man to create these artefacts. How did their endeavours reflect motivations and sensibilities present at the origin of civilisation? Can this impulse to ritualise, create, experiment and individuate be understood to represent a universal aspect of human experience? Are these instincts still expressed and shared between the diverse but often prescriptive societies of the present? 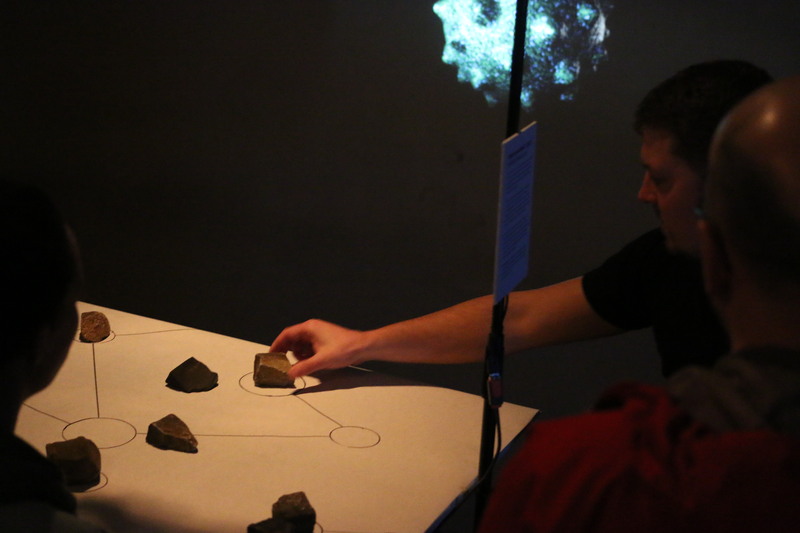 Each arrangement of rocks by a participant will generate a new ‘virtual’ stone ball. All the meshes and textures in this work are procedural and are generated entirely at runtime. Whilst the system is deterministic, the result is hard to predict or control. 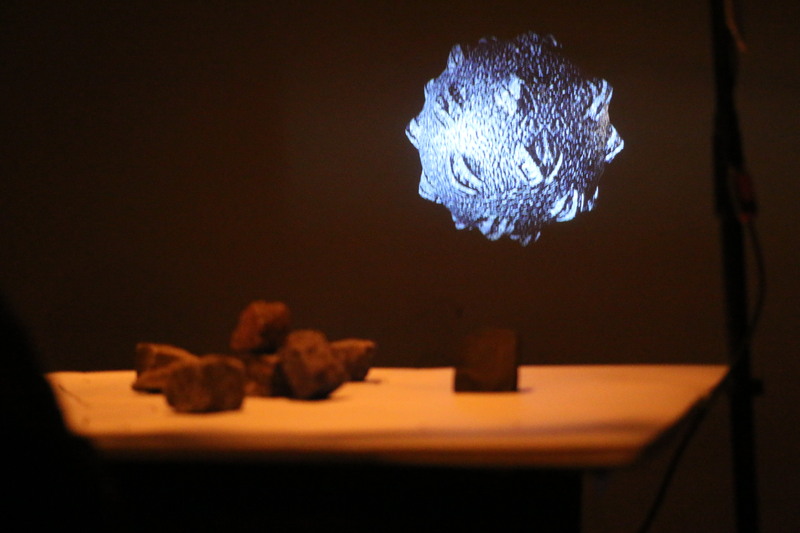 Like the humans who invoke them, there are an almost infinite number of unique stones balls, existing in potentiality, awaiting a serendipitous arrangement.